This Memorial Day Weekend, let’s thank and remember who it’s all about – those that served. 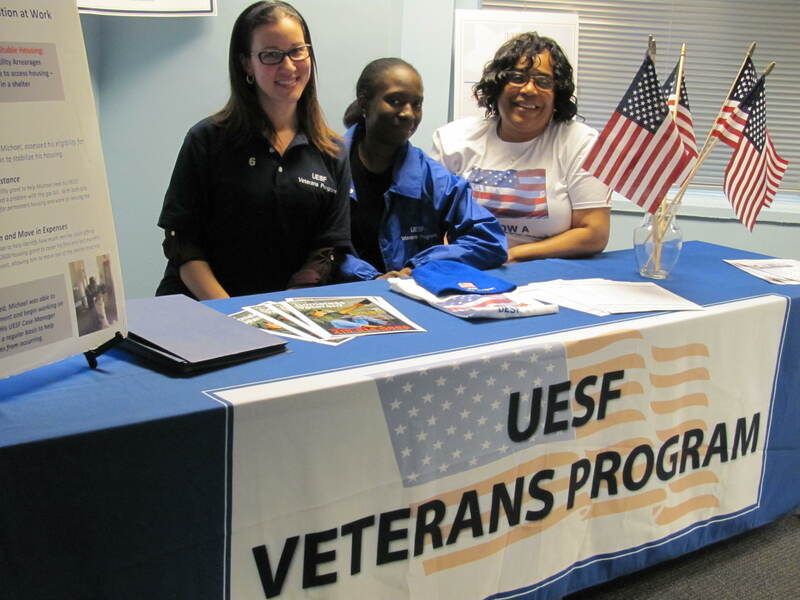 The UESF Vet Outreach staff is geared up, ready to help. 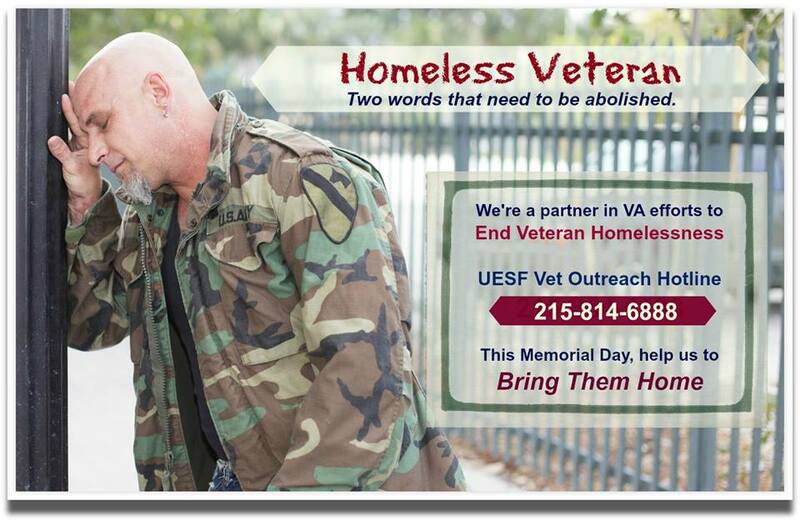 Know a homeless or at-risk veteran who someone who served? Call the Vet Hotline at 215-814-6888. 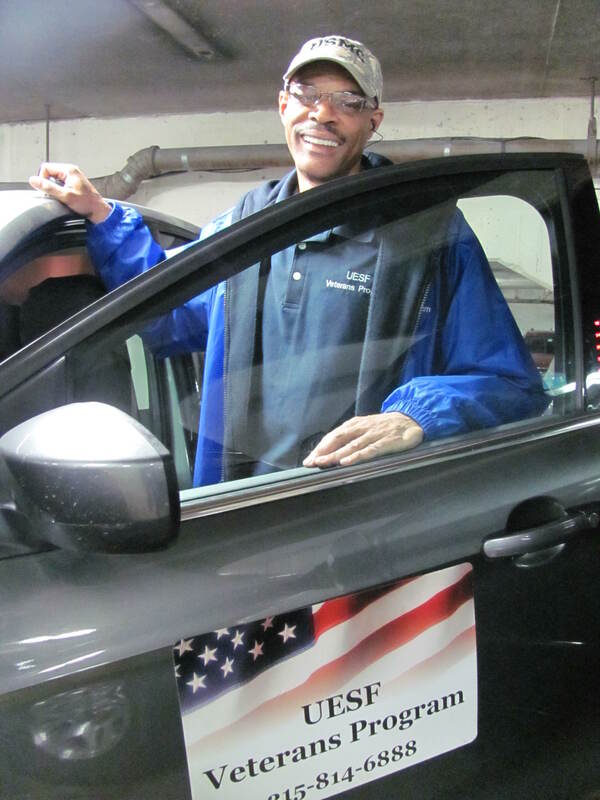 The UESF Vet Outreach Program is doing great work, having a major impact on getting all homeless vets off of the streets and into stable housing. But they need your help. Corporate Sponsors are needed for donations of bedding, clothes, workboots, socks, SEPTA tokens and monetary donations for immediate in getting those that served back on their feet. If you can help email Nancy Bragin at nbragin@mac.com with our thanks! Let’s say thank you this Memorial Day weekend, and let them know we care.